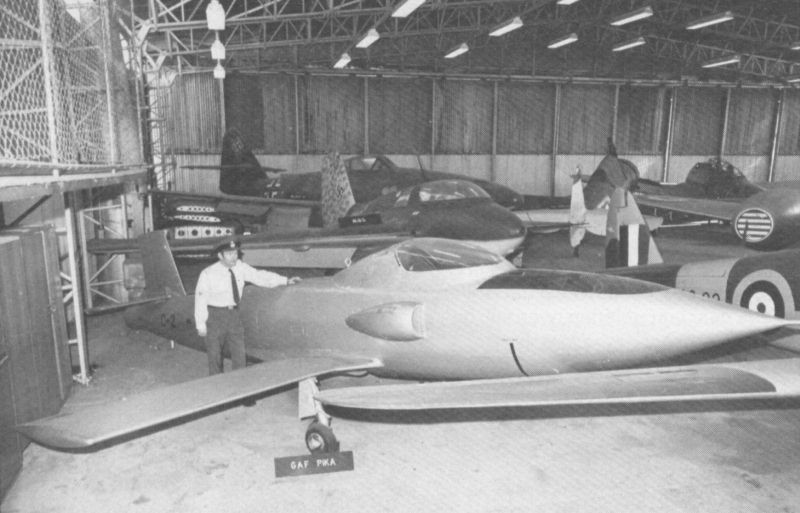 The GAF Pika in the foreground was registered to the RAAF as A93-2. It was a manned version of the unmanned Jindivik target drone. The two Pikas (another crashed) were used for aerodynamic tests (among others) before the actual Jindivik program went ahead.